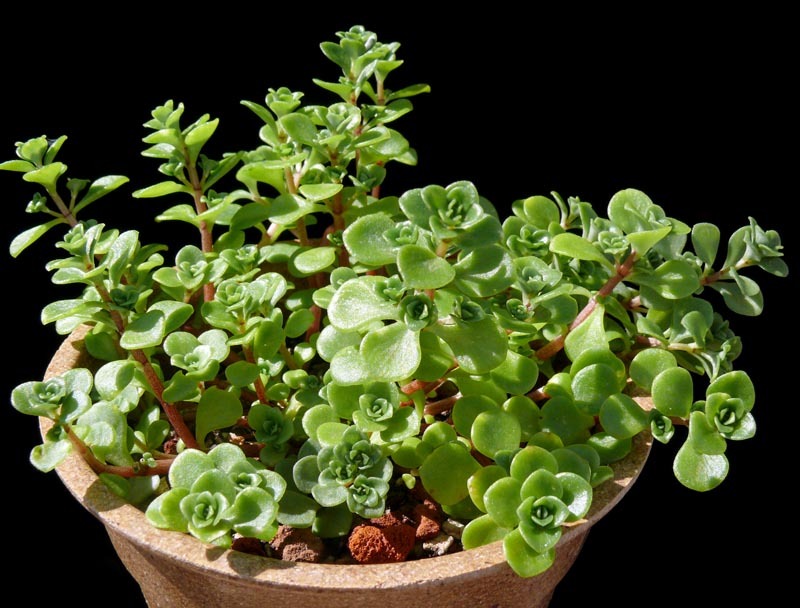 Small lime-green sedum, trailing stems. 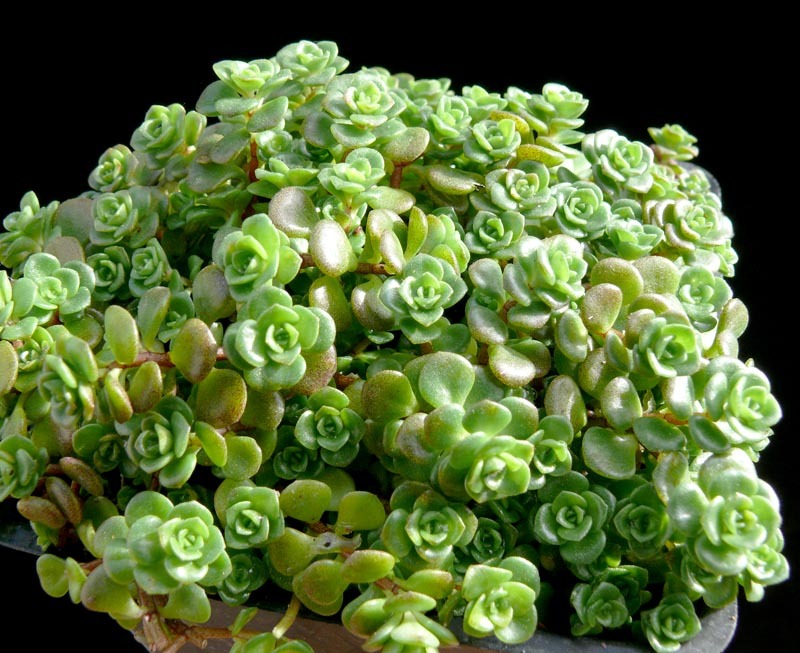 Can be planted between pavers. Yellow flowers in summer attract butterflies.